The Year of Luigi, which has seen Mario’s younger brother feature in a number of games, including Luigi’s Mansion 2, Mario & Luigi: Dream Team and New Super Luigi U, is unfortunately drawing to a close. 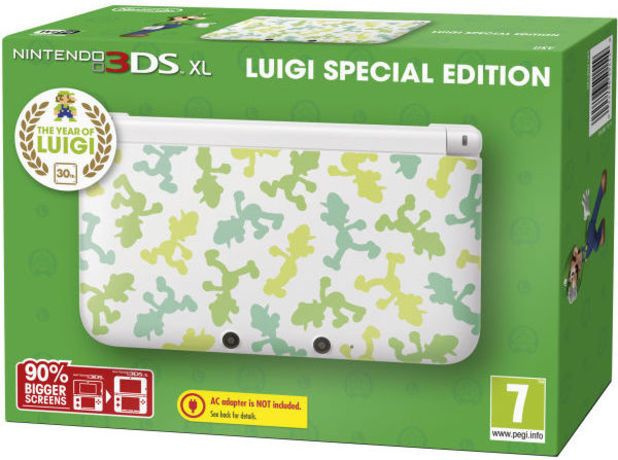 Nintendo UK, however, is still celebrating by offering one lucky person the chance to get their hands on the recently released Luigi special edition 3DS XL. Nintendo UK’s new competition, called ‘Me and #My3DS’, asks avid 3DS fans to create their own videos explaining what they love about their favourite handheld. The videos should detail what kind of Nintendo 3DS hardware they own, how it fits into their life, and what their favourite games are. Those of you looking for a little inspiration can find some example videos on Nintendo UK’s YouTube Channel. Videos must be no longer than 60 seconds, and should be submitted by December 9th. For more information, go to Nintendo’s official store. Shame it's only open to UK residents instead of the whole Europe. Otherwise that's a cool competition for my personal favourite 3DS XL model. The Zelda system is much better! So this is only open to current 3ds owners!? That's weird. 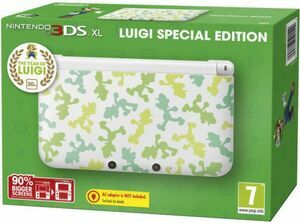 WHY DON'T THEY HAVE THIS 3DS XL AVAILABLE IN NORTH FRIGGIN' AMERICA?????? Man, I'd buy one in a flash. @linktothepichu: GLAD TO SEE SOMEONE AGREES WITH ME!!! @UnseatingKDawg I thought they do have this 3DS XL available in NA at some point? Maybe I'm wrong though, idk. @Uberchu: If it were available, I'd at least be able to find it on Amazon. Can't find it at all.